Top 7 Trending Smartphones This Week: Vivo V15 Pro, Redmi Note 7, Oppo F11 Pro & More! According to a recent IDC report, smartphone shipments grew in India by 10 percent. While smartphone shipments globally saw a decline, India continues to grow on the chart. Xiaomi leads the table with 29.9 market share in the country. This week we have Redmi Note 7 and Vivo V15 Pro on top of the list. Let’s a take a look at the top trending smartphones this week. As per a recent leak, Oppo will also launch a full screen display smartphone in March in India. It’s the Oppo F11 Pro, and the smartphone may go official next month in the country. Oppo F11 Pro will come with a no notch full screen display, pop up selfie camera, in display fingerprint sensor and a 48MP rear sensor. The smartphone is expected to be priced around it’s upcoming co-branded Vivo V15 Pro. OnePlus confirmed that it will hold an event at the upcoming MWC. While the rumours are already been topping the lists of upcoming OnePlus 7, many experts say its the OnePlus 5G smartphone. Whatever it be, the upcoming OnePlus flagship is expected to come with some of the latest technologies like a sliding camera module and the 30W Warp fast charging technology. With couple of weeks left, the Nokia 9 PureView has been leaked in live images with five cameras and a 18:9 widescreen display. The Nokia 9 PureView will come with a no notch 5.99-inch Quad HD+ display. Nokia 9 PureView will go official on February 24 at the MWC 2019. At the same event, we may also get to see the first glimpses of Nokia 6.2 and Nokia 1 Plus. There are some great mid-range smartphones available under 15,000 rupees in India currently. With top features and specs, these smartphones can easily fight against some of the higher priced flagships. A highly competitive price category, there are some top phones you can buy under Rs 15,000. The smartphones in the list has been ordered on the basis of performance, camera, hardware, software and battery. Under 15,000 rupees, you will get the 4GB RAM variant with 64GB internal running on EMUI 8.2 based on Android Oreo 8.1 on top. Two variants of Asus Zenfone Max Pro M2 are available under 15,000 rupees with 32GB and 64GB storage respectively. The whole package is backed by a 3,500mAh battery running on Android Oreo 8.1 with Color OS 5.2 skin on top. You can buy the 4GB/64GB Realme 2 Pro variant at under 15,000 bucks. Its an Android One device offering stock Android UI experience with guaranteed version upgrades. The smartphone already runs on Android 9.0 Pie update, available at Rs 14,999 now. We have got another Honor phone in the list who recently made its way to India, the Honor 10 Lite. Successor to the much successful Honor 9 Lite, the new phone is an upgrade over the Honor 10 flagship. Up front, the new Honor smartphone sports a 6.21-inch Full HD+ display with a dewdrop notch, being powered by the midrange HiSilicon Kirin 710 chipset. The Honor 10 Lite base variant with 4GB RAM is available under Rs 15,000 at Rs 13,999 with 64GB storage. The Honor 10 Lite features a rear dual camera comprising of a 13-megapixel (f/1.8) primary sensor coupled with a 2-megapixel secondary sensor and a 24-megapixel (f/2.0) AI-powered selfie camera. Running on Android One, the smartphone offers a Pixel like experience. You will receive guaranteed two version upgrades and regular security updates. Wrapping up our top smartphones under 15,000 list, we have the Redmi Note 6 Pro at last. The smartphone failed to catch with the current market, and isn’t a major upgrade over Redmi Note 5 Pro. Though the smartphone is still good powered by a Snapdragon 636 SoC, 4,000 mAh battery running on Android Oreo 8.1 with an MIUI 10 skin on top. Redmi Note 6 Pro has a 6.26-inch Full HD+ notched display with the same old design. At the back, Redmi Note 6 Pro sports dual 12 MP + 5 MP rear cameras with a wider f/1.9 aperture. Up front it also features dual cameras comprising of a 20 MP + 2 MP setup. 2019 kick-started with some top smartphones from Xiaomi, Huawei and its sub-brand Honor, Realme and many more. Redmi Note 7 is in the limelight after its China launch. Two new variants of Realme C1 were launched, while Realme 3 is on its way. February is going to better, and bigger. Check out the top smartphones launching in February in India. Lenovo owned Motorola has confirmed the launch of its Moto G7 smartphones in February. After a global launch on February 7 in Brazil, the company is expected to bring the latest Moto G lineup to India in a month. The latest Moto G7 series will include four smartphones: Moto G7, Moto G7 Plus, Moto G7 Play and Moto G7 Power. After separating its brand Redmi from the Xiaomi hat, the company is planning to launch a number of smartphones under the new brand. Soon after Redmi Note 7, the company confirmed the launch of Redmi Note 7 Pro. The Pro version of Redmi Note 7 will come with a few updated features like a better processor (Snapdragon 675) and the 48MP Sony IMX 586 sensor. Finally, summing up the list with a special launch. Samsung will unveil its tenth anniversary Galaxy S10 models this February. The company will announce the smartphones at the Unpacked event on February 20. The lineup will include three smartphones: Galaxy S10, Galaxy S10 Plus and Galaxy S10 Lite. In India, we expect the Galaxy S10 devices by March. Samsung has made fight tough for smartphones in the sub-Rs 15,000 segment with the launch of its all-new M-Series. Dubbed Samsung Galaxy M10 and Galaxy M20, the smartphones are priced at Rs 7,499 and Rs 10,999 respectively. Samsung Galaxy M-Series is the company’s India-first smartphone range. Both the smartphones run on Samsung’s mid-range Exynos processor. Xiaomi Redmi Note 6 Pro: 6.2-inch full HD+ (2246x1080 pixels) Display. Nokia 6.1 Plus: 5.8-inch FHD+ (1080x2246 pixels) Display. Honor 10 Lite: 6.21-inch full HD+ (1080 x 2340 pixels) Display. Xiaomi Redmi Note 6 Pro: Octa Core Qualcomm Snapdragon 636 processor. Samsung Galaxy M20: 32GB and 64GB storage options. Xiaomi Redmi Note 6 Pro: only 64GB storage option. Xiaomi Redmi Note 6 Pro: Black, Blue. Red, Rose Gold colour variants. 2019 is expected to be a big year for smartphones with new technologies like 5G and foldable design becoming mainstream. Samsung is expected to lead the way with its foldable smartphone while other smartphone makers are expected to introduce their first smartphones with 5G mobile connectivity. msnTarGet.com In a nutshell, all the major smartphones launching in the first half of 2019 are expected to be faster not only in terms of performance but also in terms of data connectivity. Nokia 9 PureView, Samsung Galaxy 10, Huawei P30 Pro and more: Top smartphones to launch in 2019. From foldable smartphone to 5G supported devices, there is a lot to look forward to this year. Nokia 9 is expected to be the first major smartphone launch of this year. The smartphone was rumored to go official last year, but the launched has been pushed ahead at least a couple of times for some unknown reasons. It seems that HMD Global is skipping the MWC unveil in favor of a dedicated launch for the smartphone. The Nokia 9 will be the first smartphone to jump to as many as five cameras on the back of MsnTarGet.CoM. Evan Blass tweeted a picture of the device called Nokia 9 Pureview Beholder, which confirms five cameras on the back and dual cameras at the front. The addition of Pureview branding suggests the ZEISS imaging system will be identical to that on the Nokia Lumia lineup. It is expected to feature a 5.99-inch Quad HD+ display with 18:9 aspect ratio, 6GB of RAM, 128GB storage and Qualcomm Snapdragon 845 chipset. This could be a letdown since we will be seeing Snapdragon 855-powered phones next month. Samsung Galaxy S-series turns ten this year and the Galaxy S10 and Galaxy S10+ are expected to be its biggest design evolution yet. The Galaxy S10 and Galaxy S10+ are expected to come in multiple screen sizes including an entry-level model with a flat-screen this year. There are also rumors of a mid model with a 6.2-inch curved display and two more models with a 6.44-inch screen and optional support for 5G. In terms of design, the Galaxy S10 and Galaxy S10+ are expected to feature metal and glass design but at the front, they are expected to feature in-screen dual camera setup. This design will allow for a higher screen-to-body ratio and there are also reports of Samsung adding reverse wireless charging this year. Other features include Snapdragon 855 SoC in the US and China and Exynos 9820 chipset in all other markets. These models are expected to come with up to 8GB of RAM and 512GB storage. With the Galaxy S10 and Galaxy S10+, Samsung is also expected to integrate Qualcomm’s ultrasonic fingerprint sensor. After launching the P20 and P20 Pro at a separate event in March, Huawei is expected to return to MWC this year with the P30 and P30 Pro smartphones. The P30 series is expected to be an improvement over its predecessor by switching to a taller display design that drops the front-mounted fingerprint sensor in favor of an in-display fingerprint sensor. It is also expected to bring major changes in the camera department. Evan Blass has confirmed that Huawei P30 will offer triple rear camera setup while the P30 Pro is expected to include four camera sensors and support 10x lossless zoom. The leaks claim that Huawei plans to use a 38-megapixel sensor but it is not clear how the four cameras will work. It is expected to feature a waterdrop notch design at the front and come with Kirin 980 chipset, 8GB RAM and 256GB internal storage. Samsung will start selling foldable smartphones this year but Vivo will start selling smartphone will dual displays. Vivo NEX Dual Display Edition, the latest smartphone with 10GB of RAM and dual display design and a triple rear camera setup will be launched globally this year. The Vivo NEX Dual Display Edition features a 6.39-inch Ultra FullView display with 91.63 percent screen-to-body ratio. It also features a secondary Super AMOLED display that measures 5.49-inches and is placed on the back of the device. There is 12-megapixel dual pixel main camera paired with a 2-megapixel depth sensor and time-of-flight sensor. There is under display fingerprint sensor, Funtouch OS 4.5 based on Android 9 Pie and 3,500mAh battery. Sony could jump Samsung and others to become the first to launch the Snapdragon 855-powered smartphone. The Xperia XZ4 recently appeared on Antutu with a score of 3,95,000 and model number I8134. This indicates that the Xperia XZ4 will be the most powerful smartphone when it becomes official next month. The leaked CAD renders show that it will feature an extra tall display design with 21:9 aspect ratio. It is expected to feature triple rear camera setup and include a headphone jack and dedicated shutter button for the camera. OnePlus 7 and its 5G variant is another smartphone that could disrupt the market this year. The OnePlus 6T has already set a bar for mid-range premium smartphones and its next device will have to deliver on its promise of “Never Settle” attitude. 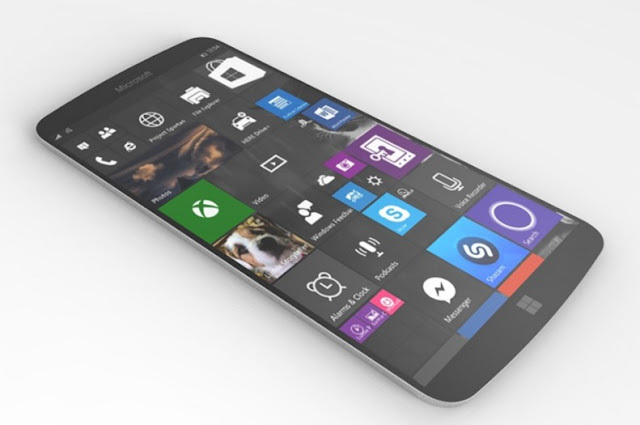 The smartphone recently leaked in the form of an internal meeting attended by Pete Lau. OnePlus 7 is confirmed to come with Snapdragon 855 but the company is set to launch another model with 5G modem support. The MsnTarGet.com OnePlus 5G smartphone is expected to support T-Mobile’s network in the US and EE in the UK. There is not much known beyond this but it could be the 5G smartphone most people will find affordable. Xiaomi is expected to launch two new flagship smartphones – the Mi 9 and Mi MIX 4 – this year. It is not clear whether both the devices will arrive at the same time but the Mi 9 is likely to debut at MWC next month. Both the devices will be powered by Snapdragon 855 SoC and feature triple rear camera setup msntarget.com. There are leaks of the Mi MIX 4 getting periscope style camera setup for improved zoom capability. Xiaomi has already begun testing the 5G version of Mi MIX 3 so one can expect that Mi MIX 4 will also support 5G at the time of launch. Refreshing its feature phone segment with Nokia 106 for Rs 1,299 in India, Finnish company HMD Global, which sells Nokia-branded smartphones, is making an attempt to revive the Nokia's erstwhile charm. 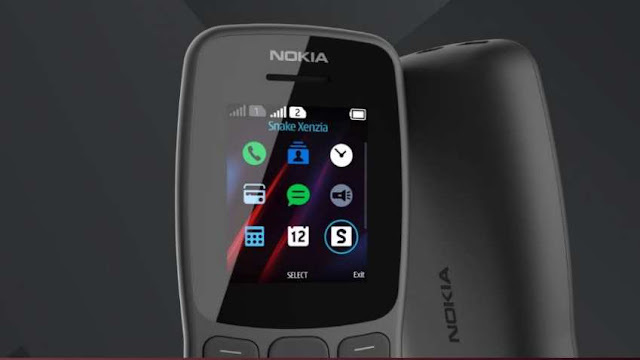 The new feature phone, which has been launched after the success of Nokia 8.1 smartphone, would be available across mobile retailers and on Nokia.com/phones msnTarGet.com. The Nokia 106 (2018), which will be available for purchase via offline stores across the country, is stated to be offering strong battery life of 21 days standby time. It is also said to have a battery that will provide talk time of up to 15.7 hours. 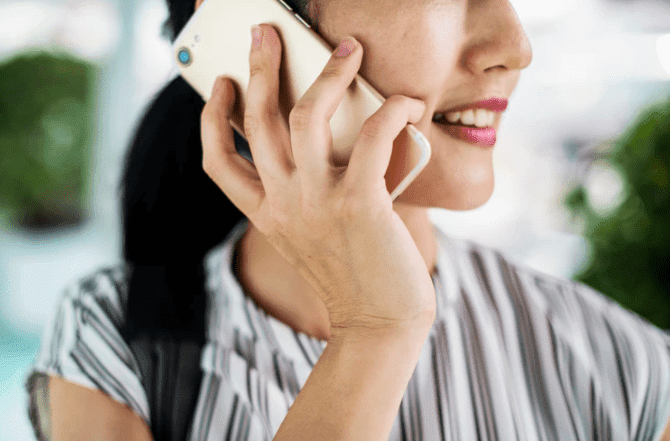 Notably, the same feature phone was launched in China in November 2018. Further, the company stated that consumers can also use a micro-USB charger to power up the Nokia 106. The Nokia device would sport a polycarbonate body with inherent colouring that means the colour runs through the material, making scratches less detectable, the company added. The device, which comes with the classic Snake Xenzia game, would be able to store up to 2,000 contacts, besides having an LED torch, FM radio and option to store up to 500 text messages. The device comes with Dual SIM, MTK 6261D processor, 4 MB RAM and Removable 800 mAh² battery. Smartphone makers have ensured that 2019 begins on a positive note for tech lovers. While 2018 has been a year of some top class smartphone innovations, 2019 is going to even more interesting. Companies are already all set to launch to launch their smartphones in the country, and the list includes the likes of Nokia, Honor, Vivo and more. Honor confirmed the launch or Honor View 20 in January as an Amazon Exclusive. It’s been a great 2018 for smartphone companies, and we are expecting 2019 to be bigger. India has suddenly seen a huge craze for brands like Realme, Honor, and Asus in the budget segment while premium segment saw OnePlus growing exponentially. Let’s take a look at this the upcoming smartphones in India in January 2019. Huawei sub-brand Honor confirmed the launch of the Honor View 20 in the country in January. The smartphone is launching globally on January 22 and has been confirmed by Honor that View 20 will be an Amazon-exclusive in India. It will come with the first 48-megapixel shooter backed by Kirin 980 chipset, 25-megapixel front camera and a 4,000mAh battery with 22.5 SuperCharge fast charging support. Vivo is expected to unveil the second generation NEX smartphone in the country with a bezel-less front display. Vivo NEX 2 has a secondary display which houses the main cameras that have to be used for selfies and video calls. Just like its predecessor, the smartphone has again tried to come up with a full-screen technology. Huawei may bring the world’s first punch hole display phone to India in January. The smartphone features a punch-hole in the display which houses the selfie camera without any notch. Huawei Nova 4 will come with Kirin 970 chipset, 25MP selfie camera, triple rear camera setup and a huge 3,750mAh battery with fast charging support. HMD Global has finally confirmed the launch of its next flagship, Nokia 9 in January. The company released a teaser image with the phone and a tag written that Nokia 9 will launch in a month. The company will host a global launch event for Nokia 9 in January, with an imminent launch expected in India. The smartphone will come with five cameras at the back, Android 9.0 Pie under Android One and Snapdragon 845 processor. Xiaomi President released an image back in December with an unknown smartphone housing a 48MP sensor. The mysterious smartphone was later confirmed to be the Redmi Pro 2. Xiaomi will use the Sony IMX 586 48MP sensor in upcoming Redmi Pro 2 which will run on Snapdragon 675 processor. The smartphone is also expected to come with a punch-hole display, a first for any Xiaomi device. After reckoning the budget smartphone market in India, Realme is again all set to launch another budget smartphone, Realme A1 in January, or maybe early February. The smartphone is said to sport a similar water drop notch design language as the newly launched Realme U1 and best-selling Realme 2 Pro. The smartphone is being tipped to be launched against the likes of Redmi Note 6 Pro, but at a cheaper price than the Realme U1. Samsung is expected to replace its hit J series with an all-new Galaxy M series. The company has been rumored to be mass producing of its first Galaxy M smartphones: Galaxy M10 and M20 in India. The Galaxy M10 will sport an Exynos 7870 and Galaxy M20 will be powered by Exynos 7885 chipset. These will be first Samsung smartphones to come with a display notch. Huawei may launch its Enjoy 9 in India as Huawei Y9. The smartphone has already made a global debut recently and has been well received by the mass. The smartphone is very similar to the recently launched Honor 8X and uses similar specs and design language. The launch has still not been confirmed, as it may clash their own Honor 8X. Though if Huawei plans to bring Y9, the launch is expected in early 2019. Xiaomi Poco F1: 6GB RAM + 64GB (Rs 19,999), 6GB RAM + 128GB (Rs 22,999) and 8GB RAM + 256GB (Rs 27,999). Nokia 8.1: Octa-core Qualcomm Snapdragon 710 processor. Nokia 8.1: Only 4GB RAM variant. Vivo V11 Pro: Only 6GB RAM variant. Oppo F9 Pro: Only 6GB RAM variant. Honor 10: Only 6GB RAM variant. Nokia 8.1: Only 64GB storage variant. Vivo V11 Pro: Only 64GB storage variant. Oppo F9 Pro: Only 64GB storage variant. Xiaomi Poco F1: 12MP with (f/1.9 aperture) + 5MP monochrome camera. This year wasn’t a good one for the Lenovo sub-brand Motorola. The company launched not many smartphones, and the ones it announced wasn’t very popular. To make it up for 2018’s fall looks like Motorola has already started working on making 2019 a good one. Motorola is expected to kick-start the upcoming year with the Moto G7 lineup. Just like the Moto G6 series, under the G7 series, Motorola is expected to launch three phones, Moto G7, Moto G7 Play and Moto G7 Plus. After launching the Nokia 8.1 in Dubai last week, HMD Global has launched the smartphone in India today for a starting price tag of Rs 26,999. With the Nokia 8.1, HMD Global is looking to replace the Nokia 7 Plus in the country, which is currently selling for Rs 25,999 in India. Overall, the Nokia 8.1 comes with a glass design like any other Nokia phones. Besides the all-glass design, other highlights of the Nokia industry 8.1 includes PureDisplay screen, dual rear cameras and Snapdragon 710 chipset. The Nokia 8.1 is the first smartphone from HMD to be powered by Snapdragon 710 chipset and also the first to come with Android 9 Pie out of the box. The Nokia 8.1 comes with an all-glass design which offers a premium feel to the phone and makes it much look much costlier than its original price tag. Much like some of the recently launched Nokia phones — Nokia 6.1 Plus for example, the Nokia 8.1 comes with a wide notch on the top that equips the selfie camera, the earpiece and the speaker. Yet again, similar to some of the latest Nokia phones, the Nokia 8.1 comes with a slim bottom chin. As far as the specs are concerned, the Nokia 8.1 comes packed with a 6.18-inch display with a Full HD+ (2246×1080) resolution and 18.7:9 aspect ratio. On the hardware front, the Nokia 8.1 is powered by a 2.2GHz octa-core Snapdragon 710 chipset paired with 4GB of RAM and 64GB of internal storage which is expandable via up to 400GB via microSD card. The Snapdragon 710 SoC is said to deliver almost equal performance to the Snapdragon 845 SoC. The Nokia 8.1 is backed by a 3500mAh battery with 18W fast charging support. HMD promises that the Nokia 8.1 comes with the ability to offer two-day battery life on a single charge. On the software front, the Nokia 8.1 runs Google’s Android One program and ships with Android 9 Pie out-of-the-box. The camera setup is one the key highlights of the Nokia 8.1. On the rear panel, the phone includes two cameras, a primary sensor of 12MP and a secondary sensor of 13MP. On the front, the Nokia 8.1 includes a 20MP selfie camera. The Nokia 8.1 measures 154.80 x 75.76 x 7.97 and weighs 178 grams in total. The smartphone comes with Dual-SIM support. In terms of Connectivity, the Nokia 8.1 comes with several options like Wi-Fi, GPS, Bluetooth, USB Type-C, FM, 3G and 4G. The smartphone also comes with several sensors like Face unlock, rear mounted Fingerprint sensor, Compass/ Magnetometer, Proximity sensor, Accelerometer, Ambient light sensor and Gyroscope. The Nokia 8.1 in India will be available in only one variant, with 4GB RAM and 64GB storage for now. The price of this model is Rs 26,999. Meanwhile, HMD Global has announced a 6GB + 128GB variant in India which according to the company will be available at a later date. The Nokia 8.1 will be available in India starting December 21. Interested consumers however will be able to pre book the Nokia 8.1 starting today on Nokia Mobile Store. Pre-bookings for the Nokia 8.1 will open tomorrow on Amazon India. Although Motorola is yet to announce the smartphone, considering the rumours and leaks, it looks like the launch of the Moto G7 is nearing. The smartphone has also been certified by the U.S. FCC. Some reports suggest that Motorola will be launching the three usual phones under its upcoming G series, while some other rumours suggest that there will be four phones, including the Moto G7 Power. Going by the rumours and leaks, almost everything has been revealed about the standard Moto G7. Let’s take a quick look at everything we know about the Moto G7 so far. 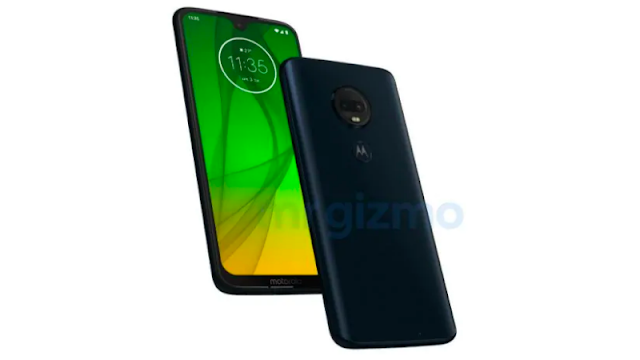 CAD renders, live pictures and a lot more showing the Moto G7 has been leaked. The CAD renders leaked some days ago show the phone from almost all angles giving us a fair idea about the overall design of the phone. As far as the design is concerned, the Moto G7 will sport much slimmer bezels compared to the Moto G6. In fact, the Moto G7 is said to improve upon the screen-to-body ratio of the Moto G6 by bringing a waterdrop display notch display. Unlike the slim top bezel, the renders show that the bottom bezel of the Moto G7 will be thicker in comparison. The water drop notch, as also seen on other phones with a similar notch, will sport the single selfie camera. On the front, the Moto G7 will sport a single camera, while on the back panel it will sport two cameras paired with dual LED flash. Following the rear camera setup, the back cover will include the fingerprint scanner embedded in the Moto logo. As far as the specs are concerned, the Moto G7 is said to be powered by Snapdragon 632 mobile platform paired with either 3GB or 4GB RAM and 32GB or 64GB storage. The smartphone is expected to come packed with a big 6.24-inch Full HD+ display paired with a 19:9 aspect ratio. As for the camera configuration, the Moto G7 is said to come with a 12MP primary camera with an aperture of f/1.8 and a 5MP secondary camera with an aperture of f/2.2. On the front, the Motorola phone is expected to come with an 8MP selfie shooter paired with f 2.2 aperture. 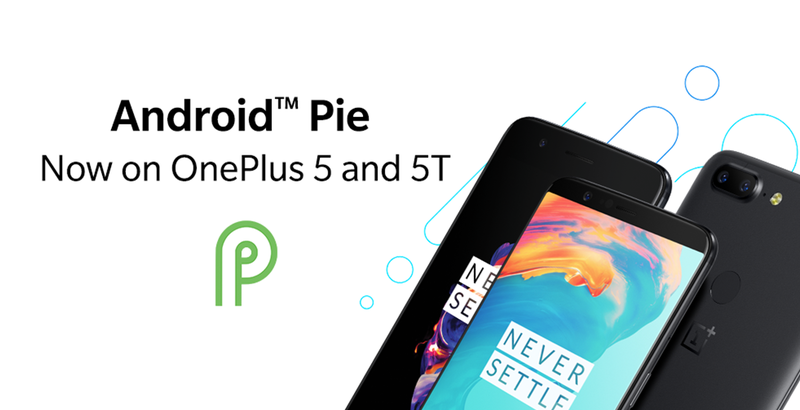 On the software front, the phone is said to run on Android 9 Pie out-of-the-box. And finally, Nokia’s one of the most awaited Android One smartphones: Nokia 8.1 has been launched. The launch was global and happened in a glittering ceremony in Dubai, where its price was announced as 399 Euros. In Dubai and the Middle East, the smartphone will be available from December 15th. 399 Euros is roughly equal to Rs 32,000. When will it launch in India? How much would be its expected price in India? What are its features, and specs and how is it different than Nokia 7 Plus? Keep reading to find out more! As per initial reports coming in, Nokia 8.1 which was launched in Dubai, will be available in three colors: Blue Silver, Steel Copper and Iron Steel and Android 9.0 Pie software is the default OS. Powered by Snapdragon 710 SoC, it is indeed a bit expensive as its Dubai and Middle East price is 399 Euros or Rs 32,000. 710 can give a speed of 2.2GHz, which is combined with 4GB of LPDDR4x RAM. Only one variant has been announced as of now. However, if we talk about its highlight, then definitely it’s the display: 6.18-inch PureDisplay with HDR10 support will make the visuals come alive. Its screen has an 18.7:9 aspect ratio, 81.5 percent screen-to-body ratio, polished with 500 nits peak brightness and is capable of a 96 percent color gamut. A 3,500mAh battery promises 22 hours of uninterrupted talk time. Nokia has declared that 8.1 will have the new Bothie feature, which will allow the user to operate both front and primary cameras at the same time. In the rear, there are two cameras: A primary 12-megapixel camera, which is helped by a 13-megapixel secondary camera for depth sensing; both of which has a Sony’s IMX 363 sensor. Meanwhile, the front camera will have a 20-megapixel shooter with f/2.0 aperture. Nokia 7 Plus, which was launched in February 2018 with a price tag of Rs 23,699. On the other hand, Nokia 8.1 is based on the Nokia X7, which was launched in China a few months back. Hence, a comparison between Nokia 7 Plus and Nokia 8.1 is pretty natural here. While Nokia 7 Plus has 6-inch full-HD+ (1080×2160 pixels) IPS LCD panel with an 18:9 aspect ratio; Nokia 8.1 has a bigger 6.18-inch full-HD+ (1080×2244 pixels) panel with a taller 18.7:9 aspect ratio and HDR10 support. Hence, Nokia 8.1 has better graphics and display than Nokia 7 Plus. Nokia 7 Plus is powered with Qualcomm Snapdragon 660 SoC, which supports 4GB of LPDDR4 RAM and 64GB of onboard storage, which can be extended to 256 GB. On the other hand, Nokia 8.1 is powered with Qualcomm Snapdragon 710 SoC, which supports with 4GB of LPDDR4x RAM and 64GB of inbuilt storage, which can be extended to 400 GB. Hence, Nokia 8.1 has a better processing power and can accommodate more storage compared to Nokia 7 Plus. In the camera department, the major difference comes in the front camera or selfie camera part: While Nokia 7 Plus had 16-megapixel fixed focus selfie camera with f/2.0 aperture, 1-micron pixels, and Zeiss optics; Nokia 8.1 has 20-megapixel fixed focus selfie camera with 0.9 micron pixels and 4-in-1 pixel tech for improved low light photography. In the rear camera department, both have 13 MP and 12 MP combination dual camera. Hence, if selfies are your priorities, then Nokia 8.1 wins hands down. In the comparison for battery, Nokia 7 Plus has a slight advantage with 3,800mAh battery; whereas Nokia 8.1 has a 3,500mAh battery. Both support fast charging. Dimension wise, Nokia 8.1 is slightly smaller with 154.8×75.76×7.97mm, compared to Nokia 7 Plus which has dimensions of 158.38×75.64×7.99mm. Nokia 8.1’s India launch has been announced as December 10th, when the price for the Indian market will be announced. As per earlier reports, Nokia 8.1 can be launched at Rs 23,999 for Indian market. Interestingly, Nokia X7, on which Nokia 8.1 is based, is priced at Rs 18,000 in the Chinese market. We will keep you updated, as we get more information regarding Nokia 8.1. 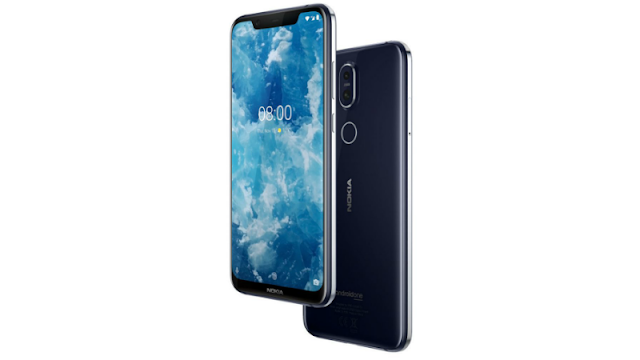 At its scheduled event in Dubai, HMD Global took wraps off the mid-range smartphone- the Nokia 8.1 which is also the global version of the Nokia X7 launched back in China a couple of months ago. The Nokia 8.1 is also confirmed to make its debut in India on December 10 as the company already scheduled an event. 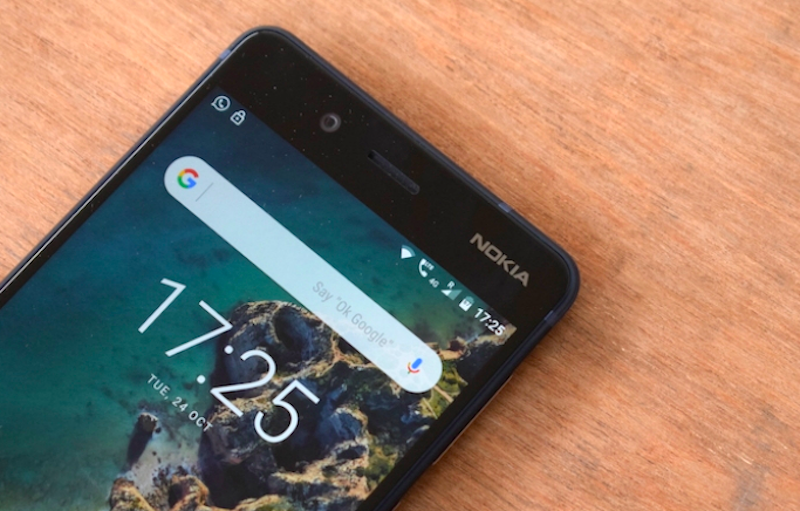 Being a global version of the Nokia X7, the Nokia 8.1 comes with Android One certification, and at the same time, it ships with Android 9 Pie out of the box. Notably, it’s the first Nokia smartphone to boot the latest iteration of Android. The Nokia 8.1 is the direct successor to the Nokia 7 Plus which saw a lot of attraction in the sub-continent. Key features of the Nokia 8.1 include Snapdragon 710 SoC, HDR display and Zeiss optics. The Nokia 8.1 is an excellent mid-range smartphone from the Finnish company as it sports Nokia’ signature design and capable hardware. Like Nokia’s recent launches such as the Nokia 6.1 Plus and Nokia 7.1, the Nokia 8.1 also features a glass back with metal frame running all around. The phone features a 6.18-inch Full HD+ display which also supports HDR titles. Introduced first with the Nokia 7.1, the Pure Display tech from HMD allows users to stream HDR titles from Netflix and other content platforms. The Nokia 7.1 also made its debut in India last week at Rs 19,999. At the heart of the Nokia 8.1, we have the Qualcomm Snapdragon 710 chipset, clubbed with 4GB/6GB of RAM and 64GB/128GB of internal storage. It will be interesting to see which variants comes to India next week. The phone also has a hybrid microSD card slot for storage expansion. For the unaware, the Qualcomm Snapdragon 710 is the latest upper mid-range chipset and the first one to be built on top of the 10nm manufacturing process. Like it did with the Nokia 7 Plus, HMD is also touting cameras on the new Nokia 8.1 as it sports Zeiss optics. The phone sports dual rear cameras of 12MP+13MP on the back, along with a 20MP shooter on the front. The rear camera has a f/1.8 aperture, 1/2.55-inch sensor, 1.4um pixels, dual-pixel autofocus, Optical Image Stabilisation and Electronic Image Stabilisation. The camera app also comes with AI scene recognition modes baked into it. As noted, the Nokia 8.1 is the company’s first smartphone to come with Android 9 Pie out of the box. And yes, it’s an Android One smartphone with guaranteed software updates going forward. Connectivity options include Dual 4G, VoLTE, Wi-Fi 802.11 b/g/n, Bluetooth 5.0, GPS, GLONASS and a USB Type-C port. It also has a 3.5mm headphone jack. Lastly, there’s a 3500mAh battery inside the handset which supports Qualcomm Quick Charge 3.0. The Nokia 8.1 comes in three colour options- Blue Silver, Steel Copper and Iron Steel. As for the expected Indian pricing, the Nokia 8.1 might be launched around Rs 23,999 in the sub-continent. And at that price, it’s an excellent smartphone from HMD Global and it easily beats other phones in this segment. Of course, we have the Poco F1 with Snapdragon 845 SoC at a starting price of Rs 20,999, but the Nokia 8.1 features superior camera hardware and way better design. The global price of the Nokia 8.1 is Euro 399 (approx. Rs 31,900). In Dubai, the phone retails for 1499 Dirham which rounds up for Rs 28,800. HMD Global at the Dubai launch event confirmed that it would be bringing the handset to India very soon. So we’ll be seeing Nokia 8.1 on December 10 in the sub-continent. The Nokia 8.1 will be the second smartphone after Oppo R17 Pro with Snapdragon 710 SoC. 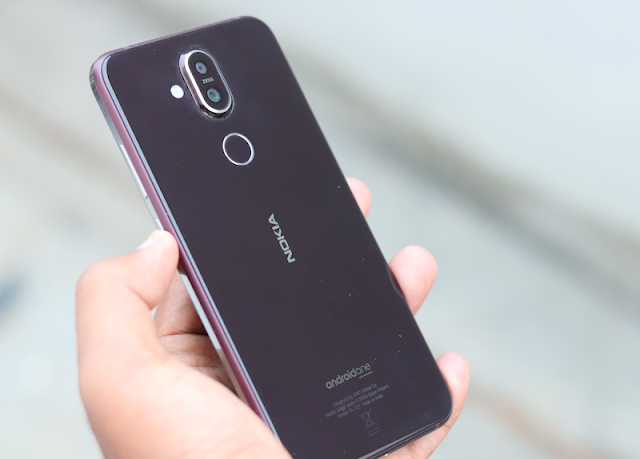 The R17 Pro is priced at Rs 44,990 in India, but the Nokia 8.1 will surely be priced around Rs 25,000 mark to pull an advantage over the competitors.